The combat device launched by US in one of the deemed war against Afghanistan ISIS groups targeting the tunnels is believed to be a non-nuclear device according to the initial report. The bomb weighing more than 21000 ton dropped by US Military in Afghanistan. Answering about life loss in the area, US justified that they are making sure minimal civilian life loss in Afghanistan. However, the ground reports are shocking as a major infrastructural loss has been reported so far. It’s believed that this attack was followed by killing of one US soldier by militants/ terrorists groups in Afghanistan. 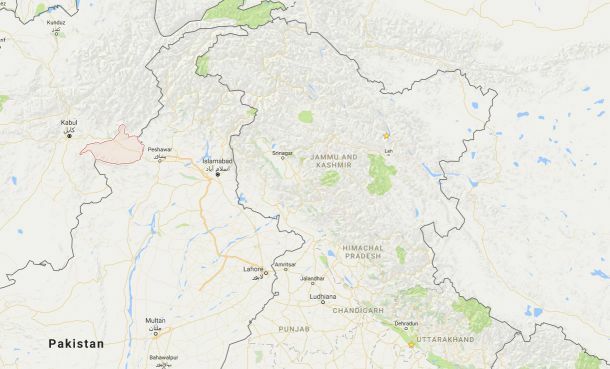 The bomb was dropped in Nangarhar Province which is close to Pakistan border with Afghanistan. One of the oldest city of world, Peshawar is close the Nangarhar Province. 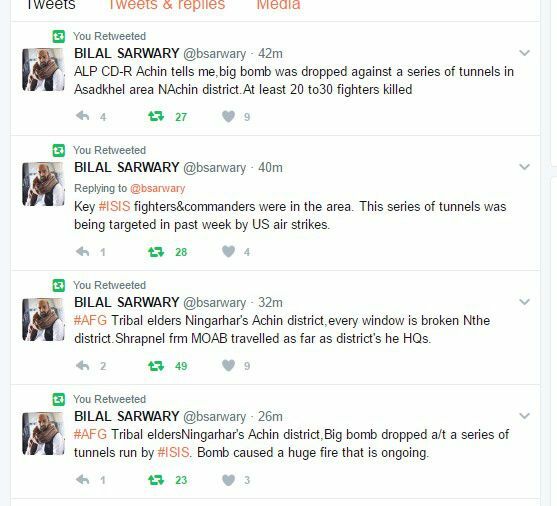 According to the exclusive report from unconfirmed sources, the bomb was dropped in Achin District. Achin is home to the Shinwari tribe, one of the largest Pashtun tribes. The district have a population of 95,468 people. In addition to that Bomb caused a huge fire that is ongoing creating a big environmental loss as well. There was a series of tunnel created by ISIS in the area to target US Military in Afghanistan. To kill all the tunnels with terrorists, United States launched the bomb. As a success, US killed over 30 ISIS terrorists in one go leaving around 95,468 victims of the attack. The intensity of the attack could be easily determined with the level of effect left on tribal villages. It would be interesting to see whether president will announce to compensate the victims following this development.